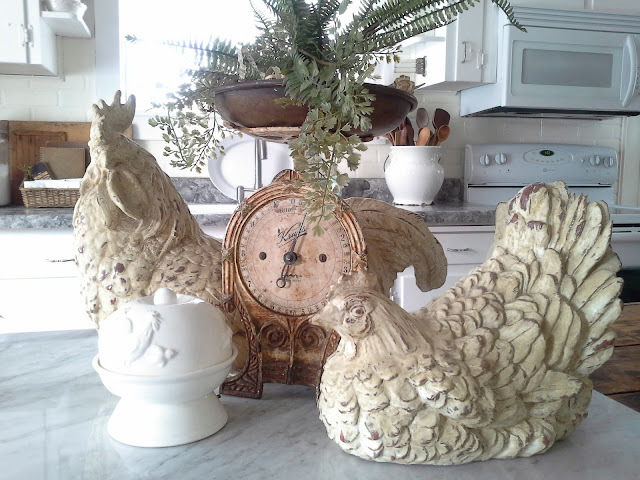 This french scale was found last fall at the Country Living Fair. Just thought I'd throw this grouping in that I just did. Check out this iron book holder for 3 dollars! What a steal. Found at a second hand store. This was one of my favorite finds. 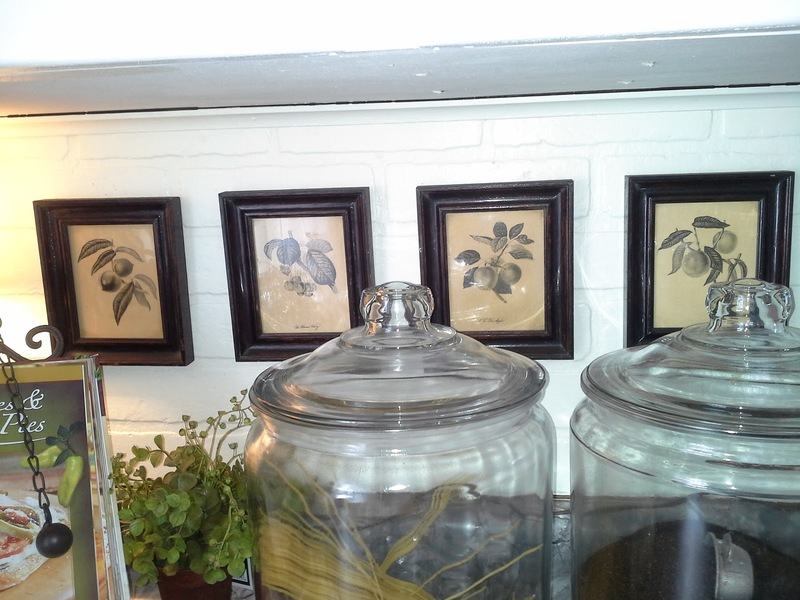 The 3x3 black framed branch pics. Each cost me 2.50 for a total of 11.00. Just love how they look so vintage. This is a reproduction chicken wire silverware thingamabob! 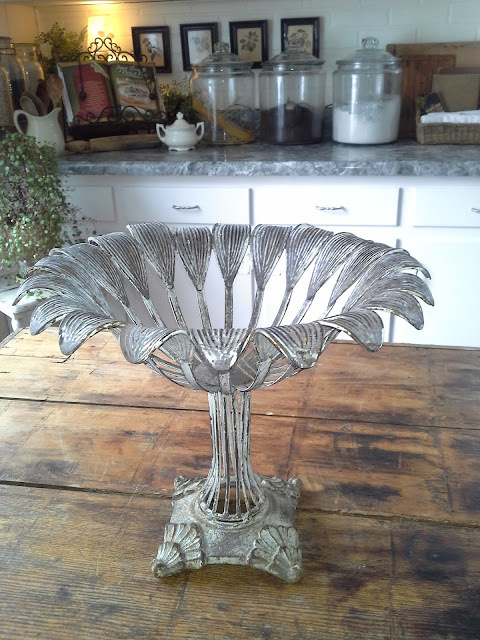 Great for holding all your silverware at gatherings or your makeup or whatever. It even spins! This cost me 14.00. Check out these beauties! 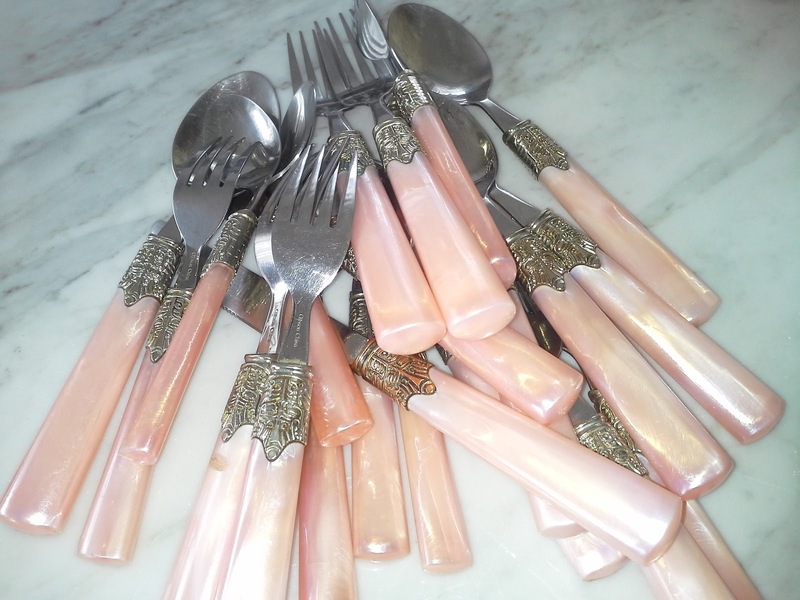 Pink pearl handled silverware. Never seen these before. All for 7.00. What a bargain. 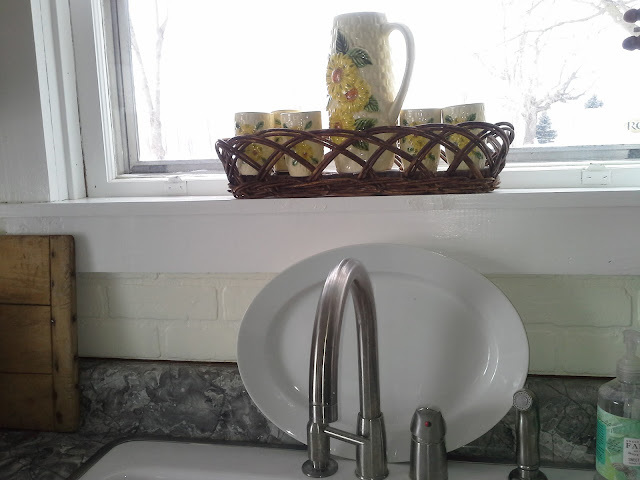 Basket 3.00, the vintage pottery pitcher and 5 cups 7.00. Can't wait to serve lemonade in these cuties! 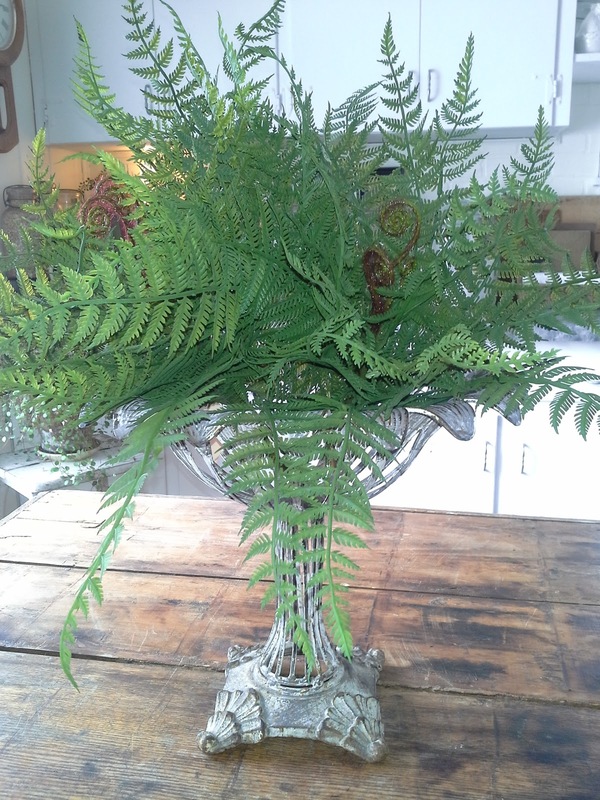 Pedestal with fern bunch added. Here are a few more treasures found from this past weekend. Isn't junking listed as a disease yet? I know that I have a terrible addiction to it. Hope you enjoy them. So far I have been able to find a place for it all except the pink handles silverware. I will be selling them in my store. 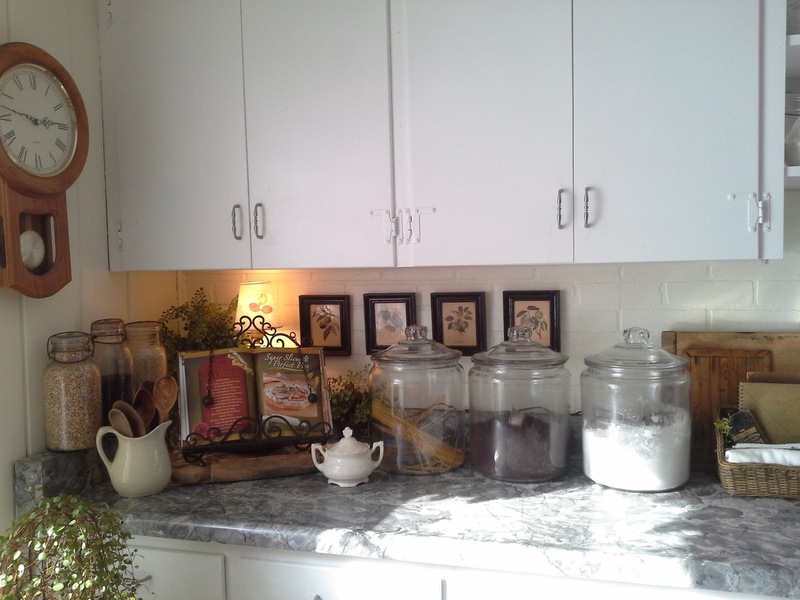 So moral of this post is that you can decorate for less than you think. If you have paint, time to travel, and patience to wait for something that you want, chances are you will eventually find it at a cheaper price. I always live by "It's my deal or no deal". Most likely you can recieve at least 10 percent off in an antique store or second hand shop. Never hurts to ask. I do have one more bigger purchase that we have to go back to get in a few days, weather permitting. Can't wait to show you. Well thats all I have for now. Have a wonderful day my friends! I just posted and am back editing this. My captions do not appear in each photo so I will list the costs of my treasures. Love the pink pearl handled cutlery. Great kitchen. Wow, when you go thrifting, you know how to score! 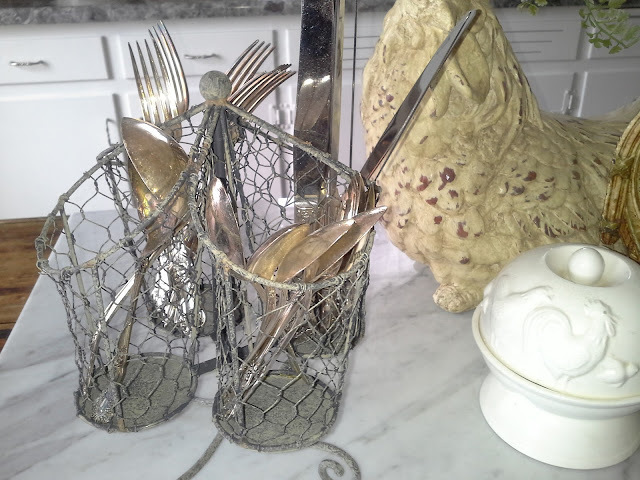 I am impressed with the variety and beauty of each piece...my favs..the pink silverware and the silverware holder. Lovely blog. I am a new follower. OMGosh! I love it all, especially those pink handled silverware! 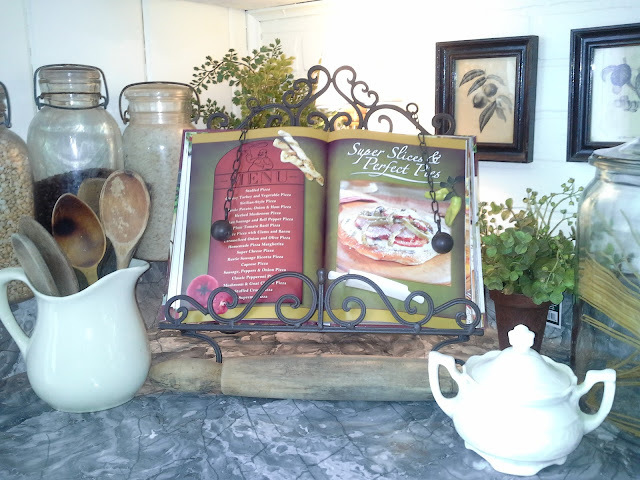 You inspire me to rearrange what I have and to add a few key pieces, like that fabulous cookbook easel! 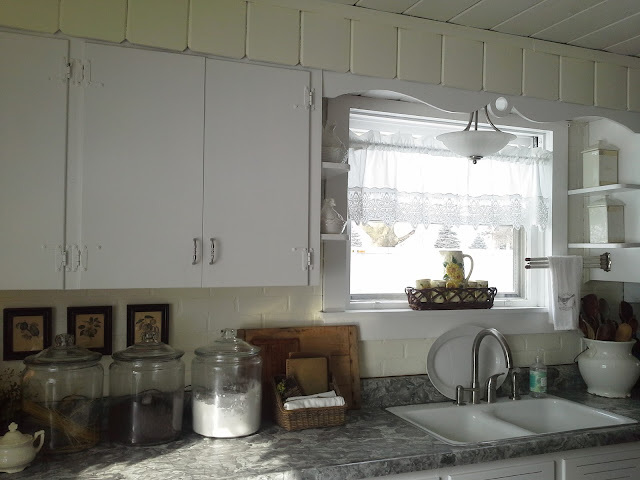 morning, I am your newest follower, and I am so in awe of your newest home and former B & B !!!! First of all I love the way you decorate in the whites/tans/cream etc. beautiful!!! Then I went to watch your video, OMG!!!!! awesome, but it looks like A LOT of WORK !!!! The decorating in your B&B is beautiful, love it all.